They will damage your pipes if used repeatedly. They are usually toxic, so care should be taken when using them. This article looks at drain cleaners that can be made using ingredients that can be found around most homes. Not only are they a less toxic option than harsh chemicals, but also they are typically very affordable, being put together from everyday substances found in most households. Note: Always wear rubber gloves and some older clothes when working with drains. Not only can things get messy, but the gunk in drains is often unhygienic. I will go into detail about each mix and method below. Each of them can be tried on their own, or in combination with other tools, such as a plunger, or a plumber's snake. It sounds too simple to be true, but this combo can often break up or loosen clogs, especially when they are bound together with grease or waxy deposits. It can also work well when used in conjunction with plunging. Put a couple of tablespoons of dish washing detergent into a pan of boiling water, then slowly pour the hot water into the drain. The mixture can help to melt away the grease that hold the clog together. 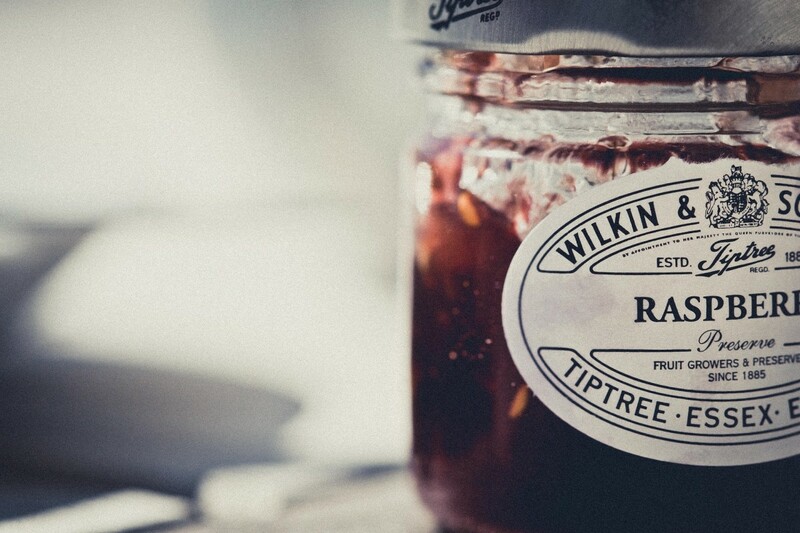 If you cook with a lot of greases or use a lot of beauty oils, this mixture can also prevent clogs from occurring in the future when deployed regularly. Depending on the composition of the clog, hot water alone can sometimes be enough to melt away a blockage. 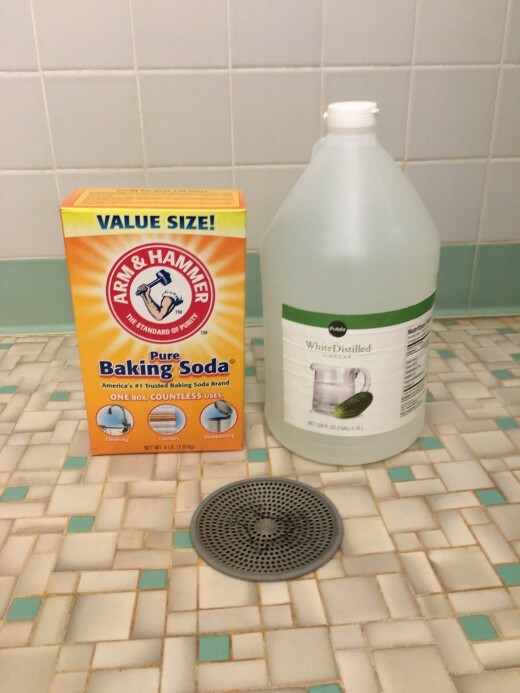 This is another easy to make homemade drain cleaner that has a good track record of working. First, pour a half cup of baking soda down the drain. Next, pour a full cup of vinegar down. The resulting reaction should make the vinegar fizz. Wait for between fifteen minutes and half an hour, then pour some hot water down the drain. If this doesn't work the first time, try repeating the process. Lemon juice can be used instead of vinegar, though the reaction is not quite as good in my experience. In addition to the ingredients listed below, you will also need a paper towel to use this homemade drain cleaner. Mix together 1/4 cup of baking soda, 1/4 cup of salt, and a 1/4 cup of cream of tartar. The baking soda and salt help to break up clogs, while the cream of tartar cleans metals. Pour the mixture down the drain followed by the boiling water. Wait for at least half an hour. Rinse with cool water. Here's another homemade cleaner that is easy to make. Pour 1/4 cup of salt and 1/4 cup of Borax, followed by 1/2 cup of vinegar down the drain. Add a pot of boiling water and let it rest for an hour. The mixture should become clear. 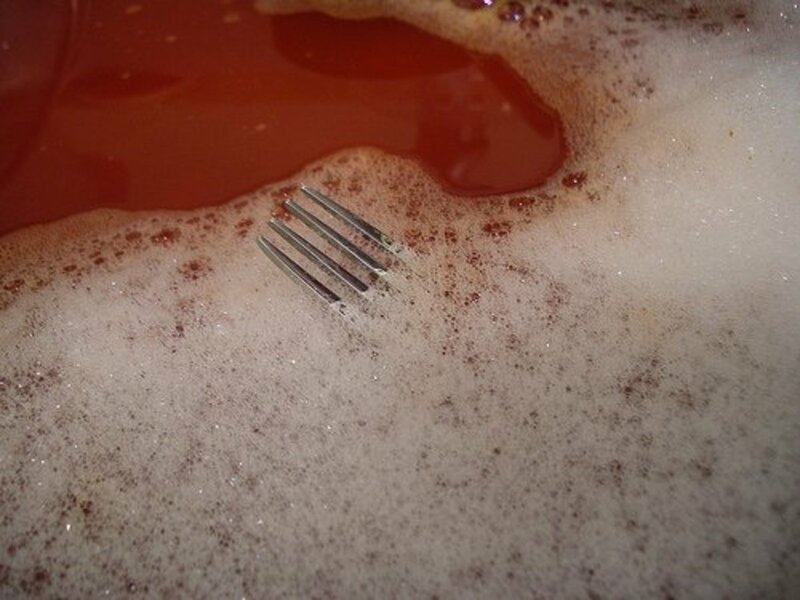 Pour more hot water down the drain to rinse the mixture down the drain. This mixture is effective and easy to make, but takes longer to work than the others in my experience. You will sometimes see results after thirty minutes or so, but I would recommend letting the mixture sit overnight. Mix 1/2 cup of salt and 1/2 cup of baking soda together and pour the mixture down the drain. Let it sit overnight. In the morning, clear rinse the drain with a pot of boiling water. When you have a clog, you will notice that the water drains away much more slowly, or not at all. A toilet will back-up and eventually overflow if you keep flushing. Slow draining sinks or showers will usually only get worse over time, so the blockage should be dealt with as soon as possible. The position of the clog is important. If only one of your fixtures is affected by the blockage, then the clog is likely potentially fixable by yourself. If you have multiple fixtures that are backing up, then it's quite possible that the clog is in your main drainage pipes and you will likely need professional help. Using a plunger to dislodge the clog. 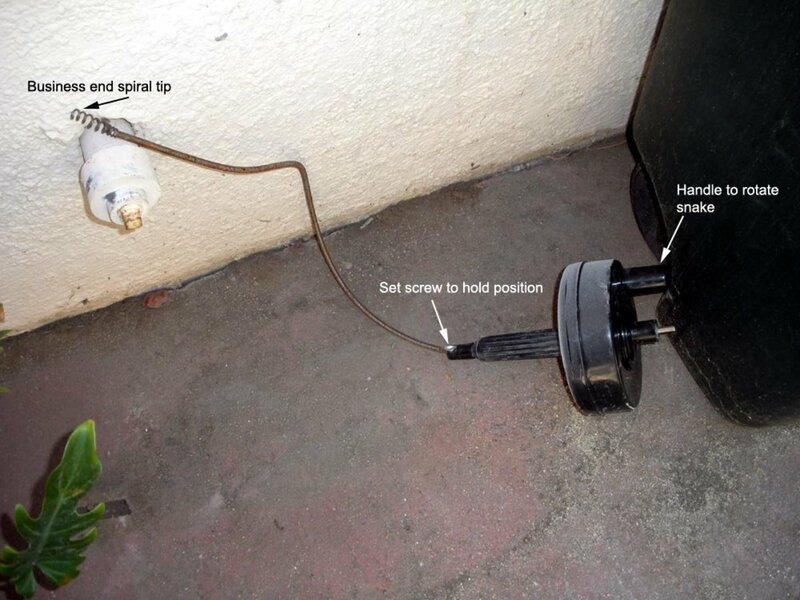 Using an auger, such as a plumber's snake, or a toilet auger. Using some sort of homemade tool, such as a hook fashioned from a metal coat hanger. If all else fails, or it becomes clear that the problem is bigger than originally thought, then you should call a plumber. As with many issues, prevention is better than cure. 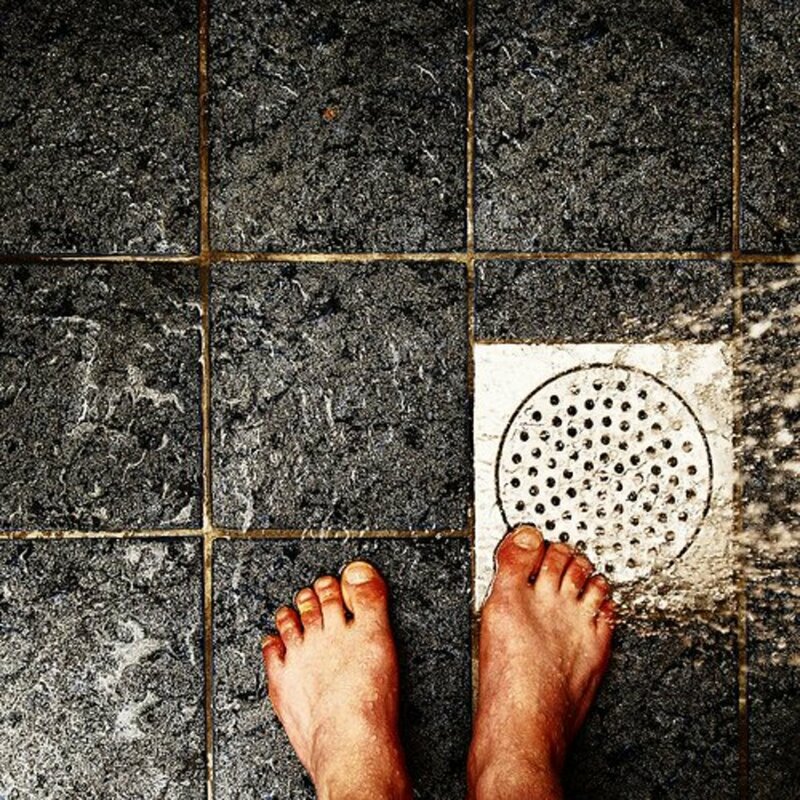 Here are some tips for keeping your drains clean and clear. Be careful what you put down your drains. Oil and grease will harden in the pipes and create clogs. Foods such as bones, seeds, eggshells, nuts, rice, pasta, coffee grounds and potato peels don't break down very well. Use a drain guard in your shower to catch hair and stop it clogging up the pipes. 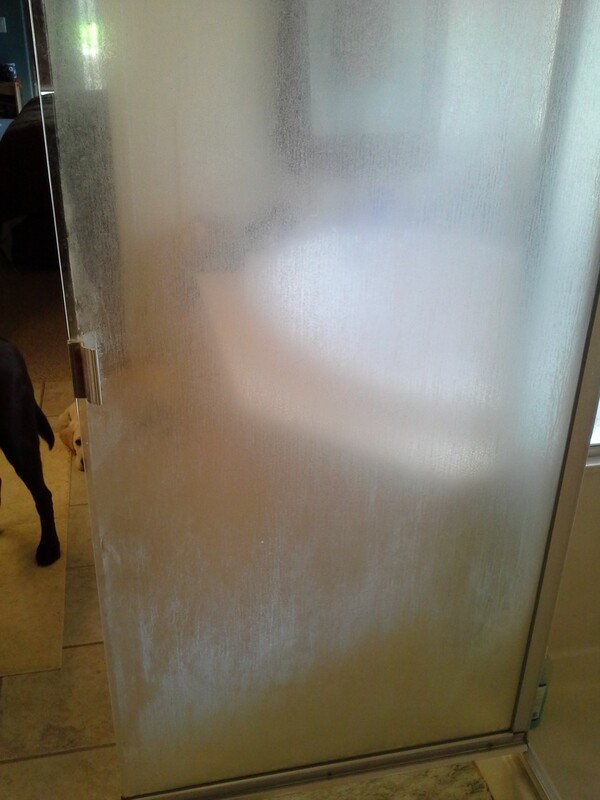 To stop soap scum, consider switching to a synthetic soap, liquid soap, or a gel body soap in the shower. Always run cold water when switching on your garbage disposal. Put ice cubes in your disposal to sharpen the blades. For a fresher smell, put small pieces of lemon peels in the disposal. Never allow anything other than human waste and toilet paper to be flushed down your toilet.